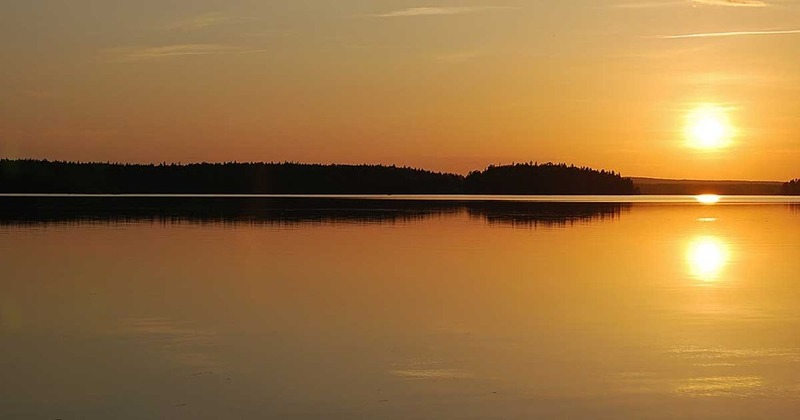 In Kiruna the midnight sun glows in the sky from the 27th of May until the 14th of July. During this period, it never slides below the horizon. The sun is at its lowest around 12:40 am. So, the sun is up continuously for 47 days at Kiruna’s latitude. The periods prior to and following that of the midnight sun are also very bright. This is why we usually talk about having 100 days without night. 11:25 a.m. departure from Stockholm Arlanda airport to Kiruna. Arrival in Kiruna at 2:30 p.m. Transfer to your hotel and then lunch on your own. Time for a small walk after lunch and hotel check-in. Do not miss stopping by Kiruna Church. Kiruna Church, built to look like a huge Saami kåta(hut), is particularly pretty against a snowy backdrop (it was voted Sweden’s most beautiful building in 2001). 11:00 p.m. You’ll travel by minivan up Mt. Luossavaara. The view from here is magnificent, with Kebnekaise in the west, the midnight sun to the north, the city of Kiruna in the south and Jukkasjärvi with the Torne River in the east. The guide will offer a Lappish snack and something to drink while you enjoy the scenery. The city of Kiruna is literally transforming due to the expansion of its monstrous iron ore mine. All citizens and businesses of Kiruna are being affected, as the oldest parts of town will soon disappear and historic buildings and homes will have to be moved or torn down. 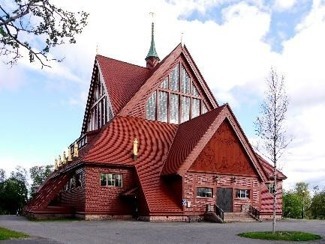 The guide will take you through our current city center, with a visit Kiruna church and the city hall, where you will learn more about these two famous buildings. The tour continues up to Mt. Luossavaara to see the mountain views and the midnight sun. Then you will visit the area near Tuollavaara, which is to become the city’s new center, and drive through the area of old Kiruna. The tour ends with a visit at Hjalmar Lundbohm’s house where you will be served coffee/tea and a sandwich in connection with a slideshow and a lecture. A wonderful tour where you will visit the beautiful nature near the Torne River. Your guide will serve you three-course dinner at the riverside cabin. After dinner you’ll go up Mt. Luossavaara by minibus to see the magical midnight sun. On this tour, you’ll enjoy the midnight sun from a boat on the beautiful Torne River. With the midnight sun shining from straight up north, you’ll experience the natural beauty of the Torne River valley. 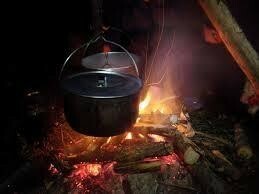 You will be served coffee and sandwich around the fire in a wooden hut on the island. After breakfast, you’ll check out of your hotel and transfer by taxi to the Saami Camp Jukkasjärvi. marketplace that is now the village of Jukkasjärvi. 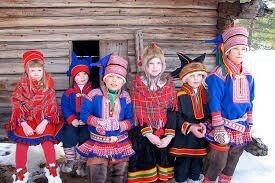 Here you gain information about the Saami - the indigenous people of Northern Scandinavia. The camp contains exhibits about Saami history and examples of turf huts, storehouses, and storage stands from these nomadic people. You can also meet and feed live reindeer inside the corral. Learn more about reindeer herding through a short film and try your hand at throwing a lasso! You’ll be able to examine Saami handcrafts and purchase both traditional and modern Saami crafts in the souvenir shop. Lunch will be served inside a big lávvu-style hut where you can settle down, enjoy the open fire and savour traditional Saami lunch: reindeer meat or fish, a berry dessert and a cup of coffee. After lunch, you’ll transfer to Kiruna airport by taxi for your flight back to Stockholm. With a departure at 1:30 p.m., you’ll arrive in Stockholm around 3:00 p.m.